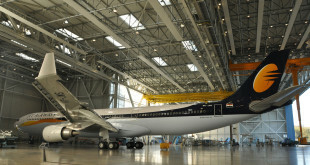 As India’s Jet Airways gets closer to Delta Air Lines, Air France and KLM, the core founders of the SkyTeam alliance, further news of strengthening of these airlines’ 2009 partnership over the busy trans-Atlantic airspace. Delta will invest €375 million investment to acquire a 10% equity share in the Air France-KLM Group. In addition Delta will a seat on the latter’s Board of Directors. 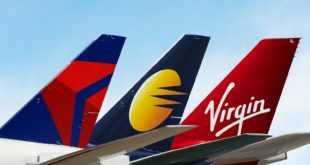 Air France-KLM will invest 31% in Virgin Atlantic in which Delta already has a 49% stake. Delta’s has an existing joint venture with Air France-KLM from 2009. Alitalia was added in 2010. In 2012, Delta and Virgin Australia launched a joint venture. Virgin Atlantic was added in 2013 and Delta also took a 49% stake in the Richard Branson promoted British carrier. The expanded DL-AF-KL-VS joint venture, and Alitalia, will offer nearly 300 daily non-stop flights over the Atlantic. Flight schedules, frequent flier programs, airport facilities will be synchronised for smoother transitions. Lounge access across carriers for premium passengers will be offered. The Atlanta-based carrier has been steadily expanding its global footprint via a series of joint ventures, marketing agreements, and investments. Expanding beyond Europe, in 2015, Delta took a 3.5 per cent stake in China Eastern airline, and entered in an enhanced marketing arrangement with the latter who is also a member of the SkyTeam alliance. A similar cooperation agreement and a 49% stake in AeroMexico was done in 2017, the same year Delta also announced a joint venture with Korean Air Lines another SkyTeam member. Delta also holds a 9.5 per cent equity stake in Brazilian carrier GOL. 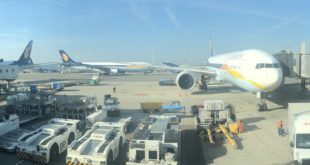 With the recently announced $1.87 billion dollar loss by 24% stake holder Etihad Airways, reports of talks about an equity investment by Delta in India’s Jet Airways gain credibility. Will Etihad be happy to part with its 24% in Jet to Delta? The recent signing of a code-share agreement between Jet and China Eastern just strengthens the aviation analysts fraternity’s confidence that we will see Jet as a SkyTeam member soon. As usual please share your thoughts via the comments system.